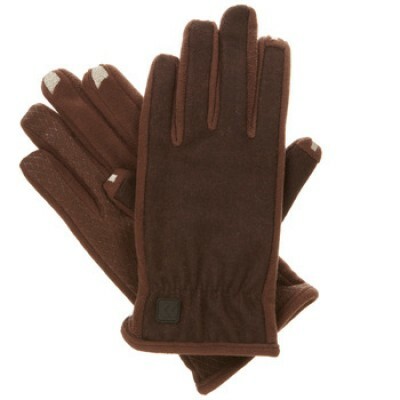 Wear smarTouch gloves while you text and surf the web on your touch screen device. Thumb, index, and middle fingers have special conductive thread that work seamlessly with touchscreen devices. Allow you to stay connected even when it's cold outside. 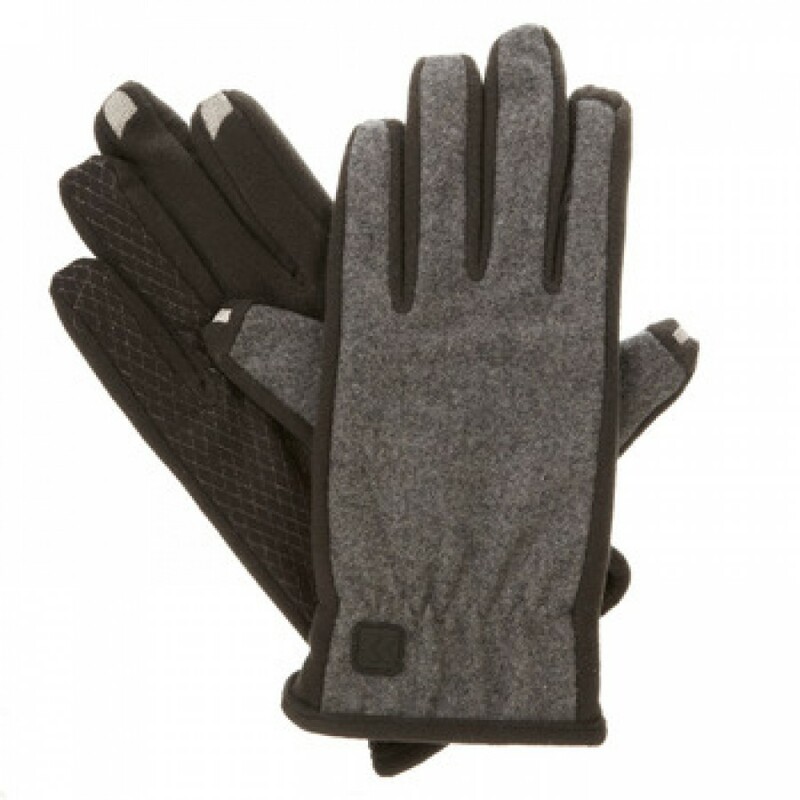 These attractive men's gloves have a wool back and feature stretch fleece sidewalls with jersey palms and a silicone grip in an attractive diamond grid. They are gathered at the wrist to keep out the cold and keep in the warmth. Fleece lined. With smarTouch gloves from ISOTONER, you can operate handheld touchscreen devices while wearing gloves. They are compatible with most touchscreen devices including iPhone, iPad, iPod Touch, Android, Blackberry, ATM's, gas pumps and GPS devices. The thumb, index, and middle fingers are embroidered with conductive thread that conveys an electrical impulse to the touchscreen. 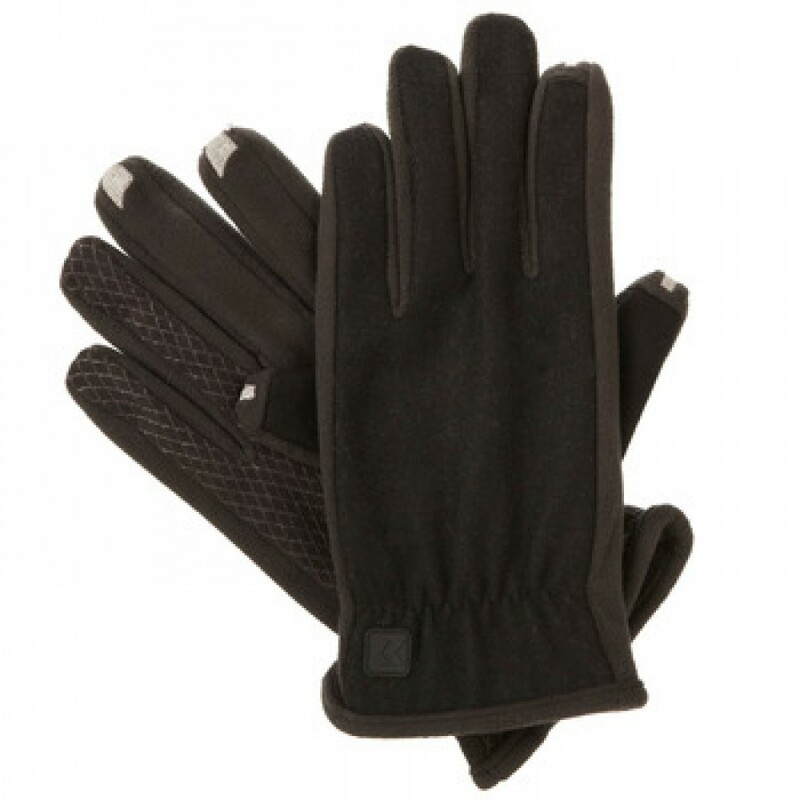 This unique patent pending construction gives these gloves exceptional performance, allowing for pinpoint accuracy. Stay connected and comfortable with smarTouch gloves from ISOTONER. Conductive thread lets you use touchscreen devices with your gloves on. ISOTONER offers legendary quality, fit and warmth.